We have all seen that picture, which shows a whole kit of electronics equipment from the 80s. Everything from the video camera to the record player to the game console to the VCR. You name it, our phones do it. But hey, they are so much more than just one fancy gaming and entertaining devices. 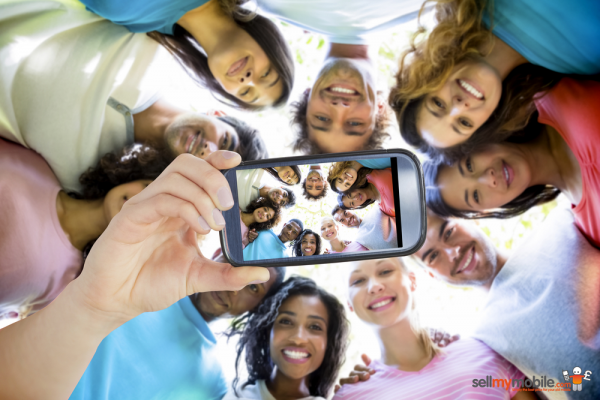 SellMyMobile have been looking at 50 ways to use your smartphones, and we have had a look. #1, Calculator. I have to admit. I do. I am an engineer. I have to use a calculator all day long. And my phone does it for me. #10, Magnifying Glass. Now this one, will only come at a loss of pixels, but interesting nonetheless! Interesting, making phone calls is only #16 on the list! Texting comes at number 21! #28, using your phone as a wallet/NFC. Now this is something I noticed in Japan about 10 years ago. Aah, those Japs. Always ahead of us. I saw them using phones as Oyster cards, and phones at toll boths. #32, one that I definitely didn’t see coming. Using it to paint nails! You’ll have to click the link to read more on that! #34, Ruler. I have tried that. Not always a good way. Of course, apart from writing cool articles, SellMyMobile offer a service by which you can sell your mobile, and get cash for it. Simple really. Great if you have those old handsets sitting around gathering dust.